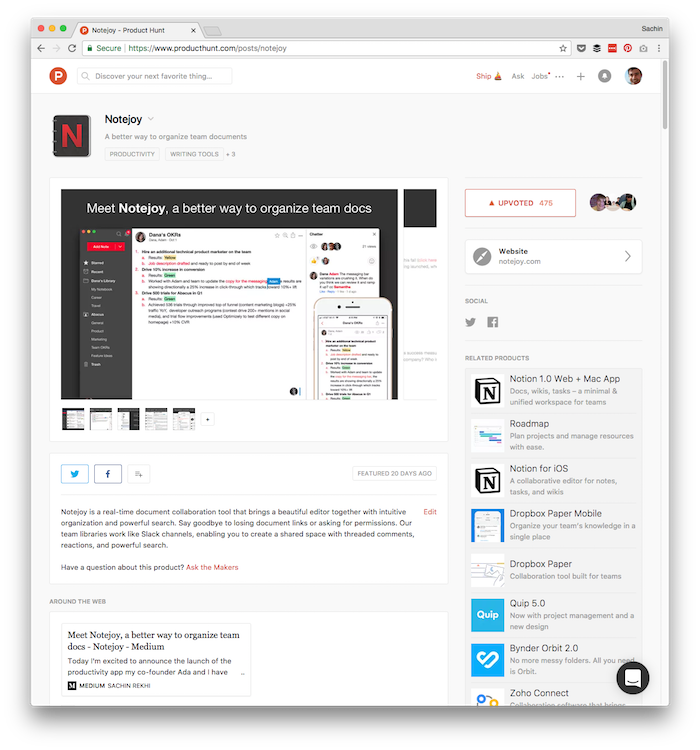 Today we publicly launched Notejoy and opened it up for any user to signup. We're thankful for all our early access users that have given us incredible feedback over the last two years to help us iterate on Notejoy and make it what it is today! We were featured on Product Hunt today, so we'd encourage you to check out the post. I also wrote a blog post sharing the story behind Notejoy here.